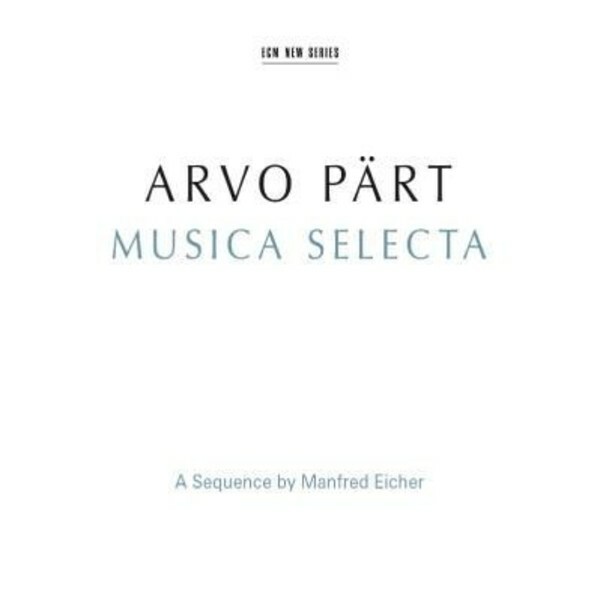 Composer Arvo Pärt and producer Manfred Eicher have maintained their creative partnership for more than 30 years. Eicher launched ECM New Series in 1984 as a platform for Pärt's music, bringing the Estonian composer to the world's attention with 'Tabula Rasa'. Since that epochal release, all first recordings of Pärt's major works have been made for ECM, with the composer's committed participation. In this special double album, issued on Pärt's 80th birthday, Eicher revisits episodes from their shared musical quest, evoking fresh associations from juxtapositions of pieces in his dramaturgical sequence, as listeners are invited to hear the music anew. Compositions heard here include the legendary ECM premiere recordings of Es sang vor langen Jahren, Für Alina, Mein Weg, Kanon Pokajanen, Silouans Song, Fratres, Alleluia-Tropus, Trisagion, Beatus Petronius, Wallfahrtslied/Pilgrims' Song, Cantus in Memory of Benjamin Britten, Magnificat, Festina Lente, Lamentate, Stabat Mater, Da Pacem Domine, and a previously unreleased version of Most Holy Mother of God. As for the performers, documentation of Pärt on ECM started with the recording of Fratres with Gidon Kremer and Keith Jarrett joining forces for the only time and has expanded to embrace many musicians who have, in turn, become closely associated with Pärt's music. These have included the Hilliard Ensemble, the British vocal group whose pure approach to early music was to prove eminently adaptable to Pärt's timeless oeuvre. "My contact with ECM is beyond categorization", Arvo Pärt has said. "It is a natural supplement to my composing. Manfred Eicher's instrument is sound, acoustics, the sounding space which can be heard only by him. He hears in a special way and his records are a result of this hearing. What I call a piece of art made by Manfred is actually a rich and sensitive complex of hearing, thinking, feeling, taste and artistic skill, a whole philosophy. It is also something very lively and in continuous formation. Our work together making new records is always a celebration."